Day five of the Liebherr 2016 ITTF-European Championships will see the Women's Singles event alongside the Men's Singles reach the semi-finals stage, while the Men's and Women's Doubles categories will determine which players will appear in the respective finals. Five players from Germany will compete in the last 16 of the Women’s Singles with Petrissa Solja, Han Ying, Kristin Silbereisen, Shan Xiaona and Sabine Winter all set to appear on the fifth day in Budapest. Second seed Solja has been drawn to face Russia’s Maria Dolgikh (25th), who stunned spectators in the previous round with a seventh game triumph over former champion Li Fen (SWE). Winter and Han will take on Romanian opponents, with Winter down to play the defending champion Elizabeta Samara and Han going head-to-head with Daniela Monteiro-Dodean for a spot in the last eight. The two other German representatives Shan and Silbereisen have meetings with Matilda Ekholm (SWE) and Ni Xialian (LUX) awaiting them. The outcome of the Round of 16 could potentially set up some exciting encounter for the quarter-finals; if Georgina Pota (HUN) defeats Yu Fu (POR) in her last 16 tie then a potential match with Petrissa Solja (GER) could await, while a victory for Hu Melek (TUR) may see her face Han Ying (GER) in the next round. Then there’s the question of whether we could see any major upsets occurring in the competition on day five, which could really make things interesting for the draw. Belarusian Viktoria Pavlovich will be optimistic about her chances against Li Jie (NED) despite being seeded nine places below the Dutch contestant, and may we be set to see a shock win for the likes of Polina Mikhailova (RUS) or Matilda Ekholm (SWE)? Following the exit of the number one seed Dimitrij Ovtcharov on day four of the Championships, the tournament has been blown wide open for the rest of the field to capitalise on. 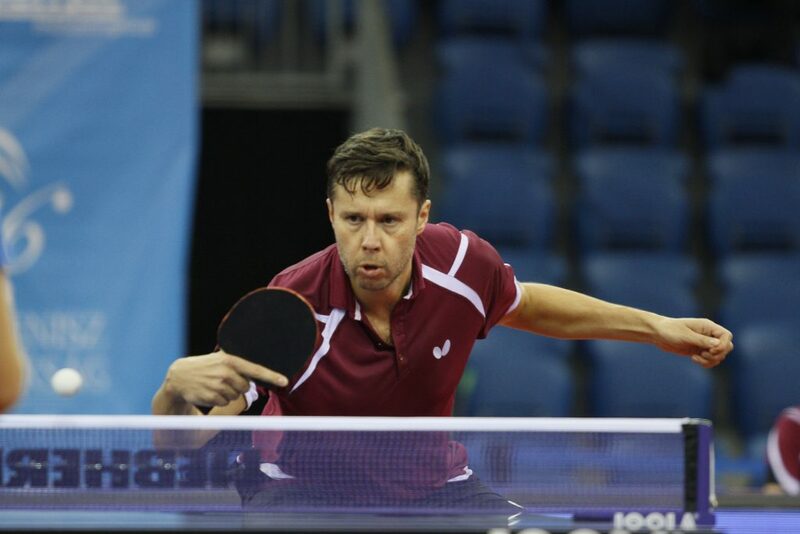 Vladimir Samsonov (BLR) and Marcos Freitas (POR) will now be many people’s favourites for the crown being seeded in the top three, but difficult encounters with Robert Gardos (AUT) and Kristian Karlsson (SWE) could leave the door open for a potential upset. The Mixed Doubles winner Joao Monteiro (POR) has the pleasure of taking on Ovtcharov’s conqueror Jakub Dyjas (POL) in the top half of the Men’s Singles draw, while Timo Boll (GER) prepares for his tie with Jonathan Groth (DEN). Eight pairs will start the day in the Men’s and Women’s Doubles competitions, but only two in each event will remain come the day’s conclusion as the categories start to edge towards the finish line. Dora Madarasz and Szandra Pergel are the only remaining Hungarians left in the Doubles competitions, and will be hoping that they can make full use of the home crowd support when they play Sarah De Nutte (LUX) and Li Xialian (LUX) in the Women’s Doubles. But will any of the remaining partnerships be able to stop the German combination of Petrissa Solja and Shan Xiaona from taking the title in Budapest? The reigning Men’s Doubles champions are Stefan Fegerl (AUT) and Joao Monteiro (POR), and they are set to try and negotiate a tricky match against Patrick Franziska (GER) and Jonathan Groth (DEN) in the quarter-finals as they attempt to keep their title defence campaign on track. You may also want to stay up-to-date with how Sweden’s Par Gerell and Anton Kallberg fare in what is set to be an exciting battle with Tiago Apolonia (POR) and Joao Geraldo (POR).